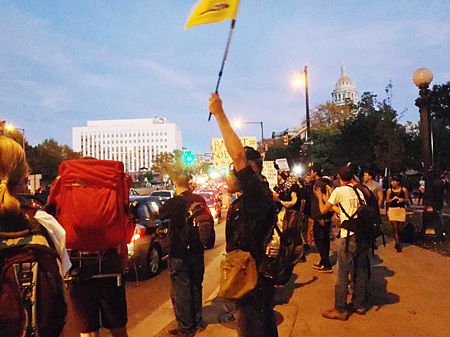 During the Winter of 2012, when the Occupy movement was in full swing, a small cadre of Denver protestors, and a mix of homeless and soon to be homeless citizens, took up residence on the sidewalk across from the Colorado Capitol building. 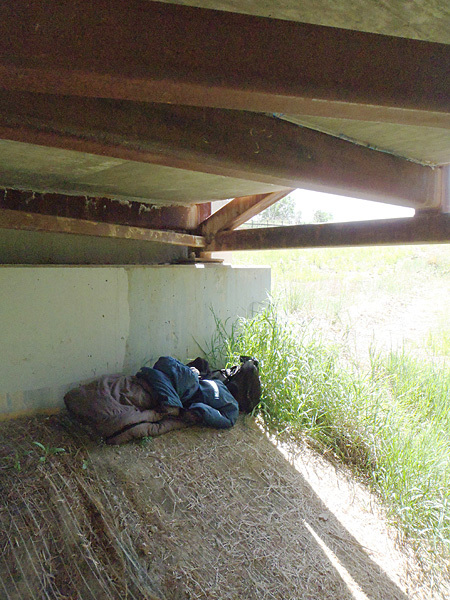 On May 28th the City Council passed an “urban camping” ban as a likely pre-text for granting Denver Police the ability to quash Occupy’s right to peaceable assembly while stating it was to help the cities homeless by providing a mechanism to move them into shelters and services. 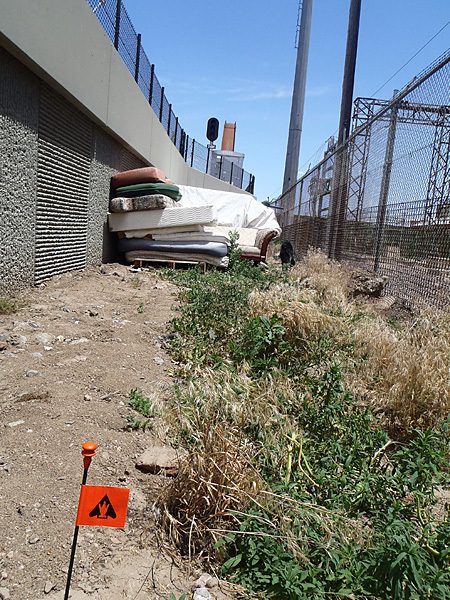 In 2012 the Urban Camping ban and ongoing westward expansion of light-rail through the corridor presented a double threat to unsanctioned use in the gulch. 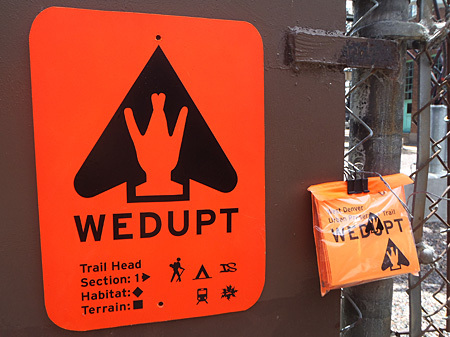 WEDUPT needed to be freshly installed to draw attention to the endangered habitat for urban camping in the corridor. 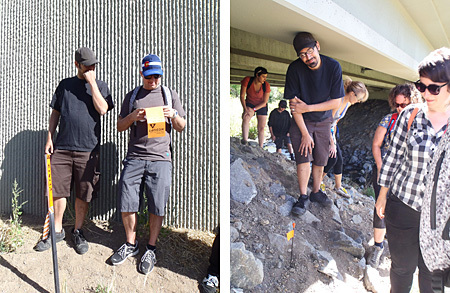 After a month of foot research to determine the new route that homeless had established to accommodate the freshly laid light-rail tracks, agents began constructing DIY signs in orange and black to match the copious construction signage in the area. 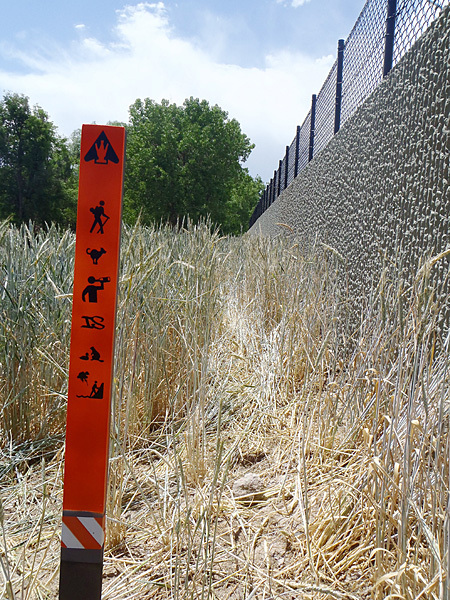 IS agents m[i]le[s], Handsome Jim and DDUB installed the signs in the wee hours of National Trails Day. At 8am agent m[i]le[s] led a guided walk-through accompanied by a handful or agents and known associates and by reporter Melanie Asmar of Denver’s Westword newspaper. 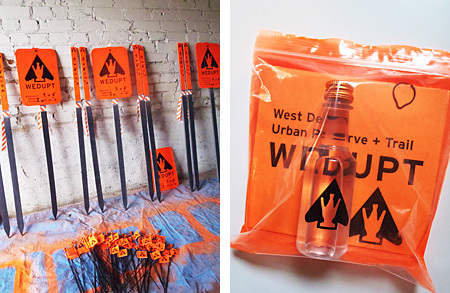 See Melanie’s article for Westwords Latest Word blog “Lakewood Gulch art prank celebrates day drinking, off-leash dogs“ from June 5th 2012. 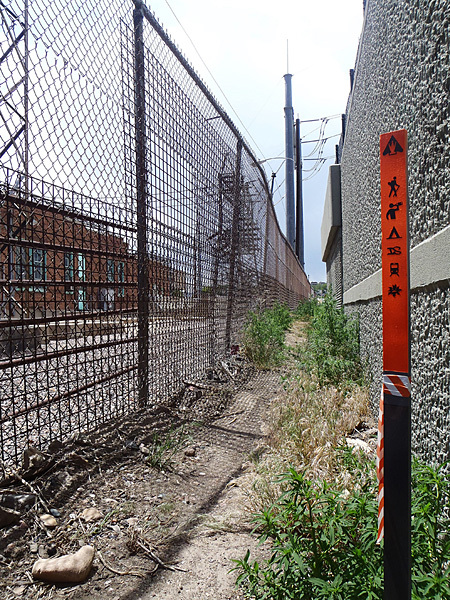 By the end of August the light-rail tracks were finished, the adjacent landscaping was planted and the last WEDUPT survey stake fell. 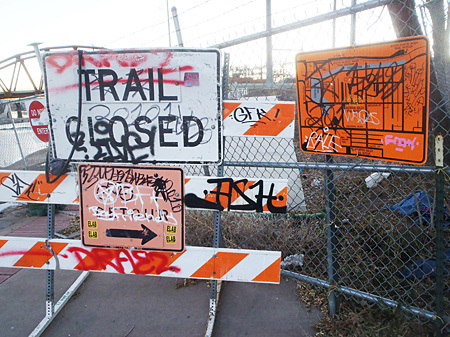 In conclusion IS feels that the majority of the signage and trail flags lasted throughout the prime urban camping season and the mouthpiece of Denver’s Westword was significant in increasing awareness of the endangered habitat for clandestine urban campers. 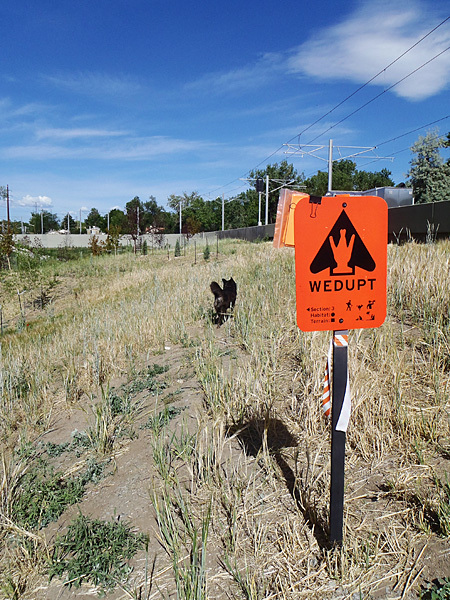 Now that a four year cycle has been established from the first incorporation in 2008 and the second in 2012 we have marked our calendar for May 2016 for a third incorporation of the West Denver Urban Preserve and Trail. Different versions of thIS report was originally published on tumblr in June of 2012, and in two articles on Westword’s Show And Tell and Latest Word blogs. 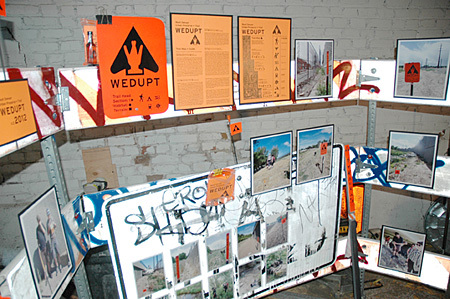 IS’s final WEDUPT report was prominently featured on a re-engineered tri-fold road barricade at iSFair 2O12, our quadrennial exhibit of reports generated between 2008 and 2012.